Growing up near Nelson, WI, now lives and creates sculpture there after living and creating in University Park, MD (greater Washington, DC). Has created over 150 Thrive! sculptures under signature GChris. His primary artistic influence is Alexander Calder. Thrive! 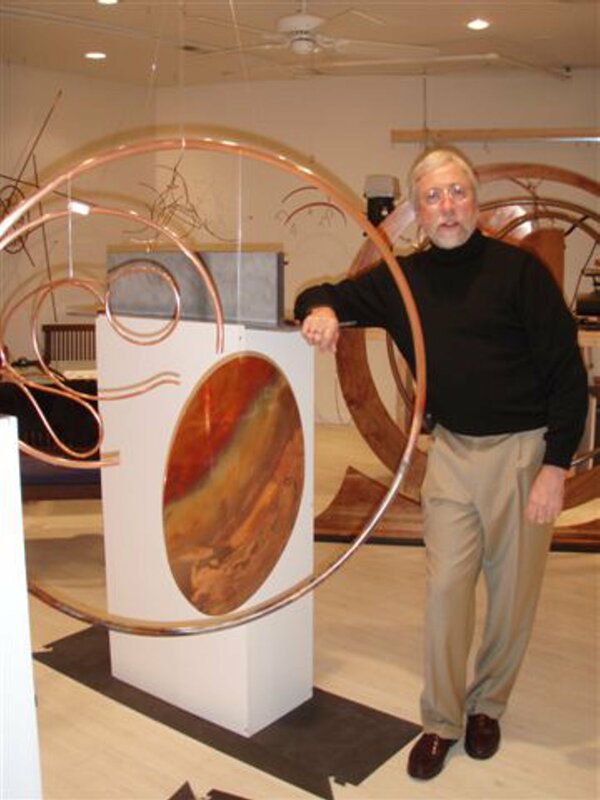 abstract sculpture by GChris supports our building a thriving future for all forever. 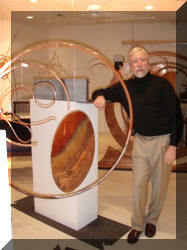 Sculptures utilize natural materials - copper/wood. Are to be interacted with and gently touched. Sizes range from a foot to dozen feet. Some make sounds; some remain silent. Some move physically; some conceptually. All generate shadows, a second image. Assoc Dir, Off of Presidential Personnel, White House. Dir of Health Legis, House Select Committee on Aging. BA in Poli. Sci. and MS in Urban/Regional Planning from U. of WI - Madison. Doctoral work, John Hopkins Public Health.